It’s time for wings and if you find yourself in Maryland, you’re in luck. Across the state, you’ll find an abundance of classic wing joints serving up every style and every flavor you could imagine. Whether you want unique twists or farm-fresh chicken, we have you covered. Here are the 10 best places to get wings in the state. This local joint in Southern Maryland has fantastic wings and barbecue paired with craft beers and a down home atmosphere. It’s completely casual, you will even find people playing corn-hole on the street outside. You can get dry rub, orange, honey, Thai chili and more. The list is long for a truly customized wing experience that is as far from the chain restaurants as you can get. Make sure to pair it with a slice of fresh cornbread. Come here for the waterfront views and stay for the wings and beer. Solomons Island is the perfect summer spot and nothing pairs better than hot wings and a $2 bottle of beer during happy hour. This is summer at its best. Known for wings, pizza, and beer, Fat Daddy’s is a casual family favorite at the Ocean. They have a good selection of beers on tap and stay open late so you can get your fill of wings after a day splashing in the ocean or sun bathing on the beach. This is a wings restaurant that specializes in pick up orders, making them perfect for the next big game, dinner on the run, or the office party that needs more than veggie platters. 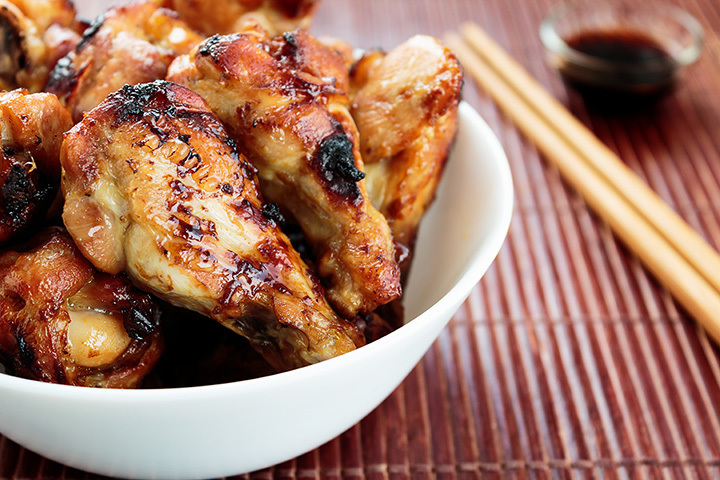 Everyone loves wings and with the ability to pick up a fresh platter of them, all your guests will be happy. They smoke their own meat onsite, make their sauces fresh, and have a large selection of beer on tap. You come to the Smokehouse to drink beer and eat wings with your friends at the bar or bring the entire family out for a rib dinner. Both are equally amazing. Art lovers also enjoy stopping by and seeing their constantly changing collection of local art for sale. This is a hot spot for locals looking for smoked meet. Their wings are antibiotic free and they boast of having Governor Larry Hogan’s favorite wings in the state. They make almost everything from scratch and you can taste the difference. They also have family meals to go which are perfect for nights when you don’t want to cook. They also have North Carolina pulled pork if you are missing your last trip to OBX. Everything is made fresh to order here and the wings are fantastic. This is a counter service restaurant where you walk up, place an order, and it is made for you right there. You can eat inside or take your wings to go. Whether you want a quick bite and are looking for something other than burgers or tacos, or you want to bring home a treat that isn’t pizza, My Place Seafood and Wings is the perfect stop after work. This is the spot to watch NFL games. Wings are only 75 cents when the game is on so you can get your fill and come back every week without breaking the bank. Best of all, the chicken they use for their wings comes from local farm so it is incredibly fresh. The difference between fresh farm chicken and what they serve at the chains is mind blowing. They deliver. Nobody can beat that. If you want some tasty wings and a fresh pizza pie, Wings N Pies in Edgewood has you covered. You can order their party wings to feed everyone. Plus, they offer traditional food like burgers and salads so when you place your to-go order, you know that everyone at the party will be happy. You can order boneless or bone-in wings with a variety of seasonings including Old Bay, Sweet & Sour, Atomic, Nuclear, Honey Mustard, and more. A ten piece is only $6.99 and you can order up to 100 pieces in a single order so whether you are eating dinner for one or feeding the entire crew, Stubby’s has you covered.